Police apparently love crossovers as much as soccer moms. Not only do civilians love the Ford Explorer these days, but also America’s police departments. According to a report from The Truth About Cars, sales of civilian Explorers in the US are up by 6 percent in the first eleven months of 2014. 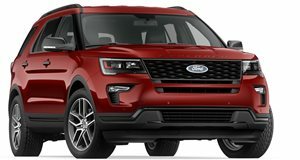 In November, almost 15,000 Explorers were driven home from Ford dealerships. But its sales of the Explorer Interceptor cop SUV that are most impressive. Between last January and this past November a total of 18,823 units were sold to law enforcement agencies. That’s a 47 percent increase when compared to the same period from 2013. So what about the Taurus Interceptor? After all, that was the most direct successor to the beloved Crown Victoria for many of America’s finest. Initially back in 2012 when both Interceptor vehicles were launched, the Taurus outsold the Explorer. But there’s been a sales reversal since then; Explorer Interceptor sales have increased while the Taurus Interceptor’s have decreased. 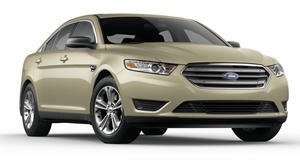 Through last month, a total of 28,370 Ford Interceptors were sold. Just 9,547 of those were the Taurus Interceptor. Turns out even police officers, like soccer moms, prefer crossovers.